From "A Night to Remember Haggadah"
Cereal has become a scarce commodity in our home. All traces of pasta long since devoured. The pantry is being purged of Hametz, with a carefully timed consumption plan to ensure that by the time Passover rolls around, our home is clear of Hametz. This marks the entrance into the pre-Passover marathon of the next ten days. Yet while the preparations for Pesach are often clouded by fumes of chametz, frantic menu making and fretful “who are the guests” conversations, all those issues must be brushed aside for a far more important question: What story are we going to tell? If we don’t ask ourselves that question, we might as well not have a Seder at all. The central mitzvah of Passover night is story telling – the commandment to re-tell the story of our people. We tell it through eating matza, through singing songs, through asking questions. We tell it in our body language and in our rituals. We tell it to our children, we hear it from our parents, but even if we don’t have either of those present, we must tell it to ourselves. Stories, however, cannot be simply recited. Simply opening up a Haggadah and letting someone else tell the story to us would be the greatest missed opportunity in the world. In order to truly fulfill the biblical commandment of “והגדת לבנך” – “and you shall tell your children” – we have to stop being consumers of the Passover story, rather become its creators. This is the secret of a good storyteller – she never just repeats by rote, but rather re-creates the tale in a way relevant to her audience each time anew. This is why families often create their own haggadot. 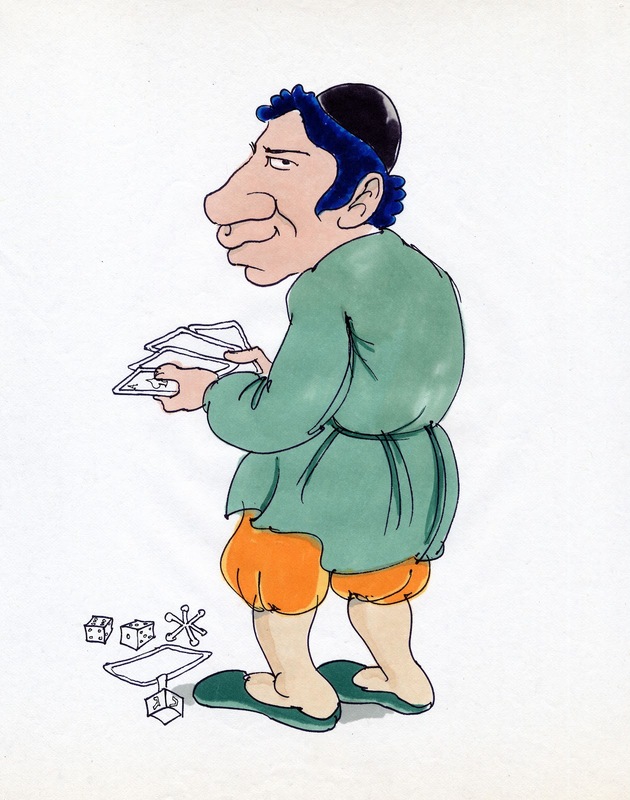 As a Haggadah salesman myself, you'd think homemade Haggadot are my greatest competition. Instead, they are the goal of the whole project… (In this the "debate" between communitarianists and liberals reaches a possible resolution: Seder is a call for creative self authorship of communal narratives). In any case, faced with the challenge of storytelling, the stressfulness of who the guests will be and what we will cook pales in comparison. What story will I tell this year? Which story do I need to hear this year? I am still mulling over these questions. My daughters are now 6 and 4, the prime age for storytelling at a certain level. To increase the challenge, we've decided to have a Seder without our parents and extended family, challenging us – the two young parents – to step up to the plate, and allowing our children and the story they should hear to be at the center. But what that story will be, I have yet to figure out. With 10 days to go, and still unclear about the content of the story for this year, I procrastinate by reminding myself of the importance of the endeavor. I thus offer three quotes on the importance of storytelling in our time: one Yiddish author, one Catholic philosopher, and one rabbi. When a day passes, it is no longer there. What remains of it? Nothing more than a story. If stories weren’t told or books weren’t written, humans would live like the beasts, only for the day. Children are as puzzled by passing time as grownups. What happens to a day once it is gone? Where are all our yesterdays with their joys and sorrows? To the storyteller yesterday is still here as are the years and the decades gone by. In stories time does not vanish. Neither do people and animals. For the writer and his readers, all creatures go on living forever. What happened long ago is still present. Man is in his actions and practices, as well as in his fictions, is essentially a story-telling animal, a teller of stories that aspire to truth. But the key question for men is not about their own authorship; I can only answer the question ‘What am I to do?’ if I can answer the prior question ’Of what story or stories do I find myself a part?’ We enter human society, that is, with one or more imputed characters-roles into which we have been drafted -and we have to learn what they are in order to be able to understand how others respond to us and how our responses to them are apt to be construed. It is through hearing stories of wicked stepmothers, good but misguided kings, wolves that suckle twin boys […] that children learn or mislearn both what a child and what a parent is, what the cast of characters may be in the drama into which they have been born and what the ways of the world are. Deprive children of stories and you leave them unscripted, anxious stutterers in their actions as in their words. Hence there is no way to give us an understanding of any society, including our own, except through the stock of stories which constitute its initial dramatic resources. The telling of stories has a key part in educating us into the virtues." A primary source for evil according to Jewish tradition is the loss of memory. Those who do not build upon their mem­ory and who are frightened and ashamed of their past may man­ifest hostility towards others because their sense of worth and dignity is derived only by manipulation and control of others. The poor people who prevail through difficult struggles to attain wealth, and then block out the memory of their past become harsh taskmasters. "Self-made men" can be sensitive to others only when they are unashamed to talk about their former destitution. If they cannot bear the thought of their former poverty, they will act with cruelty to those who remind I hem of their former degradation. In recalling Egypt, the Jews are exhorted to remember that they were once slaves. Rather than deny it, they are to incorpo­rate that slavery into their consciousness. Thus, love the stranger because you too were outcasts in Egypt; have regard for the poor because you too were once servants; care for the oppressed because you too were persecuted; aid the crushed because you know what it means to face extermination; be cautious with power because you have suffered the perversions of another's might. The role of parents is to develop in the identity of the child a sense of history, a temporal consciousness, an empathy for a whole world of experience that was not theirs. Whether these memories are relevant and meaningful, and how the child will live by them, are different issues. The mother's and father's task is not to decide how the children will use their memories. Their obligation is to see to it that the child does not enter into the future without a past. Judaism imposes a vital task on the parents: to tell the children their people's story. What the child does with this past, no parent can decree. Parents provide their children with luggage. Whether the child will open up the suitcases and use their contents is beyond the reach of parents. They have no right to enter the child's future. Parents must aim at instilling memories that haunt the child an entire lifetime; their bequest is a weight of generations, an awareness that one's biography began with Abraham and Sarah. Of the four children of the Haggadah, the Rasha, the Wicked one, stands out. His siblings are all described through intellectual categories: Wise, Simple, Doesn’t know to ask. The Wicked child alone is stamped with an ethical category. It is perhaps not incidental that the Wicked one also gets the most sympathy from modern readers. A liberal education is loath to label someone as wicked simply for questioning. Is the Haggadah making an important argument for the limits on questioning, or is it perhaps not the content of the question but rather the tone, the body language, and the stereotype already constructed in the parent’s head, which sways the interpretation in a certain way? וּלְפִי שֶׁהוֹצִיא אֶת עַצְמוֹ מִן הַכְּלָל כָּפַר בְּעִקָּר. "בַּעֲבוּר זֶה עָשָׂה יי לִי בְּצֵאתִי מִמִּצְרָיִם." לִי - וְלֹא לוֹ. אִילּוּ הָיָה שָׁם, לֹא הָיָה נִגְאָל. The Wicked One, what does he say? ‘To you’, and not to him. For me, and not for him. Had he been there, he would stand undelivered. What is the wickedness of this child? The Haggadah editorializes: ‘To you’ and not to ‘him’ - the Wicked child sees no part for himself in the practices or values of his parents. 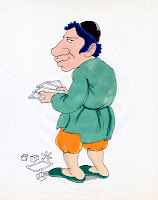 He is questioning the premise of solidarity with family/people and this – says the Haggadah – is the sharpest of bites. The parent scorns his Wicked child: You would not have been liberated! The response echoes a midrash which claims that only 20% of the Israelites left Egypt during the Exodus. The other 80%, of little faith (in Moses and his God? in the idea of a better place? ), decided to stay and become rank-and-file Egyptians. This child would have stayed with that majority, claims the Haggadah, not with the crazy matzah-eating fugitive slaves. Reading this text in light of the Jewish-European 20th Century, though, forces one to revisit the role of the Rasha, for the 20th century was the century of “Wicked” Children, who left the Egypt of their parents. As Yuri Slezkine writes, there were not two , but three great Jewish migrations in the twentieth century from the Pale of Settlement, each one a rebellious liberation movement that was based on a “patricide” of the traditional Jewish home: Nationalism (the Zionist migration to Palestine), Liberalism (the Capitalist/Professionalist migration to America), and Communism (the Political Socialist migration to Moscow). Each migration had its own ideology, its own vision of a Promised Land, its own theory of how to liberate Jewish existence from being "strangers in Egypt": The Universalistic Socialist Promised Land of early Communism, in which Jews flourished; the Capitalist vision of nontribal statehood, a “nation of strangers held together by a common celebration of separateness (individualism) and rootlessness (immigration).” And the Zionist "indigenous land" where strangers could turn into natives. The Wicked child, his body arrogantly deflecting away from the table, is dressed in modern clothes, smoking (as any civilized gentleman would do), and pontificating, waving his hand dismissively at his traditional parents. But this illustration is far from embracing of the Wise child and deeply ambivalent about his parents, who seem frozen in time next to their dynamic “Americaner” son. The wise son is dressed like his parents, but is lost to the world, engrossed in his book. Most significantly, the two younger siblings are eyeing their younger brother enviously, imitating the way he waves his hand about. One can only imagine how many families in the Mid-West and on the East coast, saw this scene unfold at their own seder tables. The reader is left with a question whether the sympathies of the artist lay with the glassy eyed father or with the flamboyant son. 30 years later, in the Lower East Side, the scene has changed significantly. From the proud German Jewish Americans of industrial Chicago, we turn to the shmutzy alleys of the Eastern European immigrants of Spring Street. In a Haggadah from 1920 illustrated by Yiddish cartoonist Lola the wicked child is a boxer. This is a tribute both to the golden days of Jewish boxing (like Battling Levinsky, lightweight champion of the world 1916-1920), and to Max Nordau’s 1900 call for a Muscular Judaism. Our buff boxer seems willing to take on his dorky brother (who by now has no problem dressing like a modern American, but is still engrossed in his book). Again, one wonders if the Jewish boxer is the villain or the hero. For Moscow’s Jewish intelligentsia, and for many American Jews, being a communist was being the wise child, liberated not only from Capital but also from Ethnicity. Yet many American Haggadahs of the 50’s and 60’s save the Wicked child’s place to the communist cousin. In one portrayal, the Wicked child is a “flaming commie,” threatening to set fire to the world. In another, he the is spitting image of Leon Trotsky, holding an enormous ax poised at splitting through the Ten Commandments (meanwhile the assimilated American Jew has been demoted to the Simple child, in his flannel shirt and racing results). Listen, man, to the song of the son! A future full of illumination? The song of the son, a song of joy and battle? The original Hebrew text of the anthem above was copied in the font usually reserved for Torah scrolls, and was carried in the pockets of movement members like a religious amulet. Secular Zionists sought to replace the tradition, to rewrite the holy Scriptures, replacing the tunes of traditionalism with the song of rebellion. At the end of the day, these three Jewish liberation movements, which might have been classified as “Wicked” in their times, force us to re-evaluate our relationship to rebelliousness in Modern Jewry. For me, as a parent, a Zionist and a Jew, the lesson of the Zionist child rings in my ear: that rebellion should not be interpreted as betrayal, and that we must be very humble in our assumptions about what is right for the next generation. At least one, if not two of the 20th century rebellious Jewish liberation movements succeeded in creating a vibrant Jewish culture and eventually a better world for all. We must seek out the rebellious questions of the next generation, cultivate them, all the while supporting that they, like those rebellious Zionists of old, continue to use the language and stories of their inheritance as they march into a new spring. p.s. I can’t resist one more 4 children, the 21st century rendition of the illustrator of my own Haggadah, A Night to Remember: The Haggadah of Contemporary Voices, Michel Kichka. For a comprehensive essay on the art of the Four Children.